Auckland Central Masters are giving away 2 passes for the Rangitoto Swim on the 24 March. Click on this link Rangitoto Swim to read more about the swim. A big shout out to Boost Coaching! Are you ready to start improving your swimming? You’ve probably come back to swimming as an adult and you’re now left trying to remember what your swim teacher told you when you were 16 years old - if you were lucky enough to have lessons. Back then you were slightly smaller and a little more flexible than you are now but still just as ambitious to get down the length faster than the person in the lane beside you. The reality is – you are spending time in the pool and not really improving. Are you happy about this? Being a better swimmer is more than just spending time at the pool and hoping to get faster, it is one of the more technical sports to develop and improve in. So, of course, jump online buy some books, watch some YouTube videos and read the blogs and you’ll get better in no time, RIGHT? HOPE that your coach on the side of the pool gives you a piece of advice that you understand and can apply within the few seconds of personalised attention that you get from your squad coach! I’ve seen swimmers despondent with group lessons – the challenge with these is to pitch a lesson to meet everyone’s needs, every time. I’ve seen all of these people, in fact, I’ve provided 1000’s of individual lessons in Auckland and some of these people have told me intricate detail of what they’ve been working on and yet they have no reference point to know if what they are actually doing is correct. When I started coaching swimmers in a 1:1 environment I created a system that gets results. 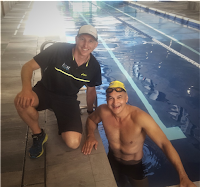 I have set up a strong swimming framework and for you and every swimmer, I deliver a professional and personalised session. I look at you as an individual and progress the sessions at the speed of your development. You will be given key areas to work on in between lessons and provided resources to support your understanding of what was completed during the lesson. As you go about your swimming each week you will have some focus on what you should be doing. As you master these ideas – you will improve and I’ve seen people make massive changes in just 30min. So if you are a swimmer or triathlete trying to get more out of the time that you spend training. What is your goal? Do you are want to beat your mate, move up the field, gain more age group points in a competition, gain confidence, efficiency, qualify for a team or get to the bike leg quicker if you are a triathlete? 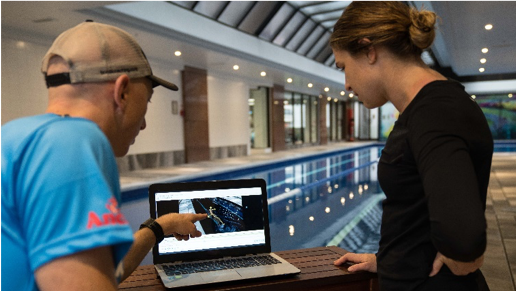 I’ve seen all of these things above happen as a result of the advice I have provided the individuals and the steps they’ve taken ownership of to improve their swimming. So if you want personalised technique advice and tips that are proven time and time again to create effective and efficient swimmers. If you want to talk to me before you book a time then give me a call my details are in the link below. I look forward to seeing you in the pool soon. 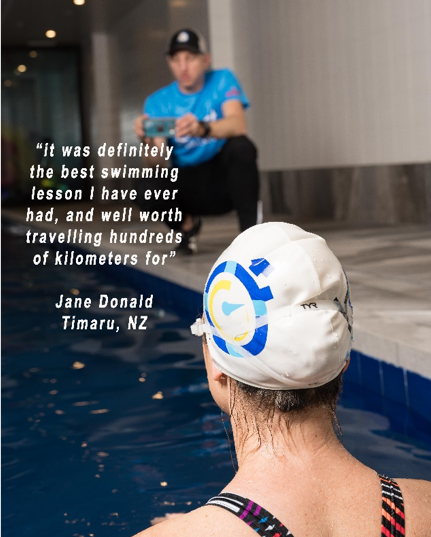 The 2019 Auckland SC champs will take place on 18th May, hosted as usual by Roskill Masters at Cameron Pool, Mt Roskill. Entries are now available through your Swimming NZ 'My Page' at https://mypage.swimming.org.nz. Click on 'Upcoming meets' and scroll through until you find the event (there does not seem to be any way to filter the meets to only show masters events). Seed times for events will be populated automatically from results available in the system since 01/01/2017. If you do not have any results in the system since that date (or for a particular event) then no time will be displayed. If that is the case, after submitting your entry please email your estimated time administrator@roskillmasters.com for manual entry. You can enter a maximum of 4 events. You can enter ONLY ONE of the 200m events as these will be combined and swum together. DO NOT enter the '200m Any Stroke' event but the actual stroke you will be swimming. Ribbons will be awarded to 1st, 2nd & 3rd places in each age group - points 6,4,3,2,1 for each event. Refreshments will be available to all competitors and officials following the conclusion of Meet. If you do not currently have a login for your 'My Page' please contact me and I will set this up for you. If you are unable to enter through 'My Page', you can find a manual entry form in the information sheet on the NZ Masters Swimming website. A $5 surcharge is added to manual entries. Note that this will be entered through the SNZ system on your behalf by the meet organisers, and seed times automatically calculated as per the online entry process. Entries close 12th May, and a $5 late entry fee will be added after 5th May. No late entries will be accepted. If you have not yet paid your annual subscription for the 2018/2019 year, you can pay this from your 'My Page' under 'Membership Subscriptions'. You must be currently financial to enter this event. Please contact your club secretary for any queries regarding your financial status for the 2018-2019 year. The New Year provides a great point in a year to consider new beginnings and to consider what feelings and experiences you want in the next year. Whether your focus is business, sporting or family or areas in each, I think it important to firstly STOP, CHECK IN and REVIEW. This process doesn’t have to be a yearly process in-fact this simple “Check in” should be more regularly, even daily. This check in will work best when you have a dream, as from this dream come goals and from goals come motivation. Dreams can be hard but a way of thinking of this is, if you could have another chance – what would you do? Let’s come back to this later…. I’d like to share with you some key points I picked up from an article about super champions and almost champions (if you are a parent with sporting goals for your kids - I’d recommend you read this article as there are some further points that you’d probably be interested in). WHAT SEPARATES SUPER CHAMPIONS FROM ALMOST CHAMPIONS? Almost Champions: Individuals that were good enough to play with the best but ended up second rate. Super Champions viewed challenges in a positive light — as opportunities to grow — and overcame them thanks to a “never satisfied” attitude. This runs in contrast to almost champions, who blamed setbacks on external causes, became negative, and lost motivation. Super champions were driven from within. Their primary concern was self-improvement. They held themselves to high standards, but judged themselves against prior versions of themselves, not against others. Individuals who have faced adversity and faltered in the past are more likely to show persistent effort and reach the top in the future. Individuals who demonstrate persistent effort follow their interests; practice foremost to get better, not to outdo others; derive satisfaction from within; and feel constantly supported, but not pressured, in their journey toward achievement. If these criteria are in place, experiencing failure doesn’t weaken motivation — it bolsters it. Goals are the heartbeat of life, if you flat line you’re dead. So if you want to swim better at the next event what do you need to do to be a better version of yourself? 1. Improve you open water skill set? 3. Dryland workouts with the small amounts of extra time you have? 4. Focused on better daily nutrition? 5. Join a squad or get to it more regularly? You may want to assess your own Strengths and Weaknesses – this may help you to determine where opportunities lie. From this there might be a number of other processes or steps you need to take, for example you may need to find a technique coach, a nutritionist, a swim squad or seek further expertise in an area relating to the goal you have in place. What will inspire you to wake up every morning juiced to take on the challenges that you have set yourself? You don’t have to win or be top 3, but at the same time that might be right goal for some of you. Most events show results which include a specific way of measuring your achievements. What could you aim for? What is realistic? What event could you do this by? Or many events have challenges for ranges of abilities – is this distance you’ve entered getting you juiced each morning to get out and train that day and be a better you? SO IF YOU HAD ANOTHER CHANCE – WHAT WOULD YOU DO? The reality check is we can’t turn back time but with every rising sun there is a new opportunity, so every day you have the opportunity to be a better version of yourself but check in regularly to make sure this “better version” is still what you want! "The best time to plant a tree was 20 years ago. The second best time is now." Embrace the challenges, learn and grow from the obstacles that might present themselves, train and be persistent, seek answers from inspiring professionals, and set the goals that can deliver your dream. Good luck with your season and have a successful 2019! Boost Coaching has kindly donated 3 X 1:1 swimming lessons to give away to 3 lucky readers. If you want to improve your stroke technique and efficiency this will be an awesome way to start the New Year.